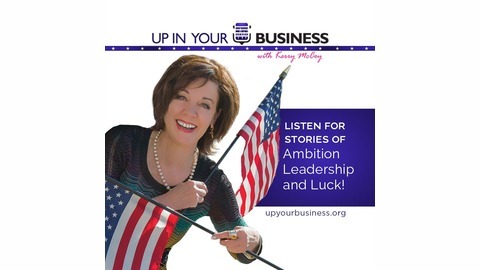 Up in Your Business is a weekly radio show and podcast with Kerry McCoy, owner of FlagandBanner.com. 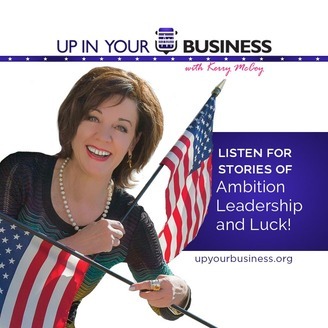 Kerry interviews business owners and other professional leaders who share their story of ambition, entrepreneurship, and luck. It airs as a live radio show every Friday and as a podcast available for download. Guests inspire listeners with their insights and life experiences. Join Kerry for this personal, provocative, and candid hour of engaging conversation centered around business advice, entrepreneurship, failure, and success. If you’re a crossword puzzle worker or have ever contested a Little Rock traffic ticket, then you’ve probably met or know the man I interviewed back in April 2018, Judge Vic Fleming and crossword puzzle-solver extraordinaire. In college, young Vic was asked at the end of class to jot down what he thought an ideal legal career would look like. He wrote, “1/3 trial practice, 1/3 judge and 1/3 professor.” And he did exactly that. For 15 years he was a trial lawyer. In 1996, he was elected district judge for the City of Little Rock (how this came to be, is a good story). In 2004, he became a Bowen adjunct teacher at the University of Arkansas in Little Rock. And my personal favorite, he’s a published crossword puzzle maker. Vic began working crossword puzzles at a young age. As a young man he laid down his crossword puzzle pencil to focus more time on his career. I know from experience, working crossword puzzles is akin to playing video games, you look up and the day is gone! For 25 years his love of puzzles lay dormant; until one day, he gave himself permission to resume his old habit. He didn’t just resume the solving of puzzles, he now wanted to create them. Today his crossword creations appear in the New York Times, Random House and many more. He is now PAID and commissioned to create 65 crossword puzzles a year. Fun trivia, Vic appeared in the 2006 documentary Wordplay, which also featured a song that he wrote and plays on the guitar.